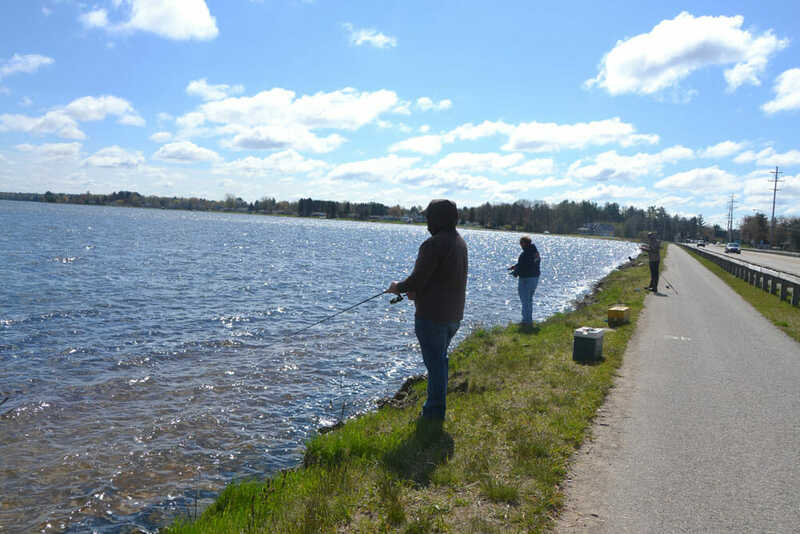 Lake Cadillac – ideal for the shoreline angler. You might think you need a boat to catch fish. Boats are certainly an asset, but definitely not a necessity. Especially if you’re near Lake Cadillac. With nearly three miles of public shoreline, there’s plenty of places to fish. And it’s fishable water. By that I mean it’s deep enough near shore that a good cast can get your bait out to where the fish swim. Starting at the canal, follow North Boulevard until you get to Kenwood Park. In mid-June bluegills spawn in these waters. Spin fishermen should do well with the classic worm-under-bobber combo or a fly drifted behind a float. The best strategy is to keep moving along the shore until you find a gathering of gills and maybe some sunfish. Looking for bigger fish? Cast a minnow type lure or if weeds are a problem, a spinner bait, and you might hook into a pike or bass. Another great fishing area is across from the high school football stadium along the McKellop Walkway, a mile of sidewalk that runs parallel to the water. Along this stretch, you’ll catch panfish as well smallmouth bass. The bass seem to favor crankbaits. Although they likely will have just finished spawning and moved out, they definitely can be reached with a long cast. The prime fishing here ends at the public boat landing. Up at the other end of the lake, anglers gather along the western end of the Causeway near its outlet hoping to find spawning panfish. Anglers walking to the east seeking pike and bass cast lures into the deeper water. If you’ve got fishers who may not be ready to accurately cast out a line, a fishing pier, the Canal or the City Dock may be the right choice. On the Lake Cadillac side of Mitchell State Park there’ a fishing platform. Here, the water’s deep enough that no casting’s required. Just drop the line into the water. There’s another pier on Lake Missaukee near downtown Lake City. The City Dock is the fishing hub on the east end of Lake Cadillac. Here anything can be caught, although it’s known as a hotspot for crappie. Minnows are the bait of choice for these speckled fish. Crappie do take grubs, worms, and leeches, but they love those small silver pin minnows. Mitchell and Cadillac produce some of the biggest crappie anywhere. It’s not unusual to catch a fish that’s fourteen inches long. 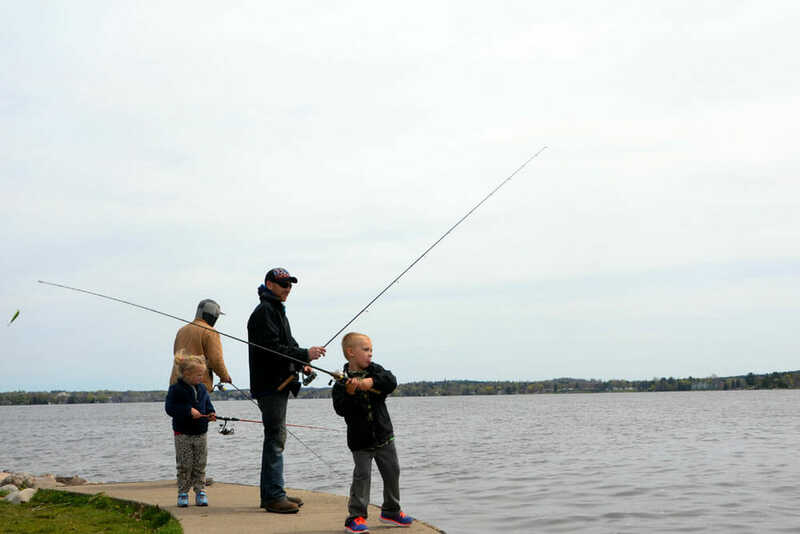 Over on Lake Mitchell, anglers congregate after dark to cast minnow imitation lures for walleye. Best success goes to those with waders who can move out closer to the fish. If you’ve got a boat, there’s thousands of acres of inland lakes to explore. Don’t have a boat?  In Cadillac, fishing boats can be rented at Pilgrim Village Resort which is located on Lake Mitchell just south of the State Park. Looking for fishing tips? Stop in and talk to the staff at Pilgrim Village, these folks know the fishing scene. Those looking for pike, bass, and walleye will find these fish active and feeding. With the weeds not fully mature, you may be able to troll and cast crankbaits like Rapalas. Because pike are so numerous, expect bite offs unless you are using wire leaders. Although not known as a walleye catcher, spinnerbaits might be the best bait out there for pike and bass. Fish them through the weed beds. I prefer to cast spinnerbaits, let the lure sink and then reel it in slowly. The width of the lure keeps pike from reaching the monofilament line so wire leaders aren’t needed. 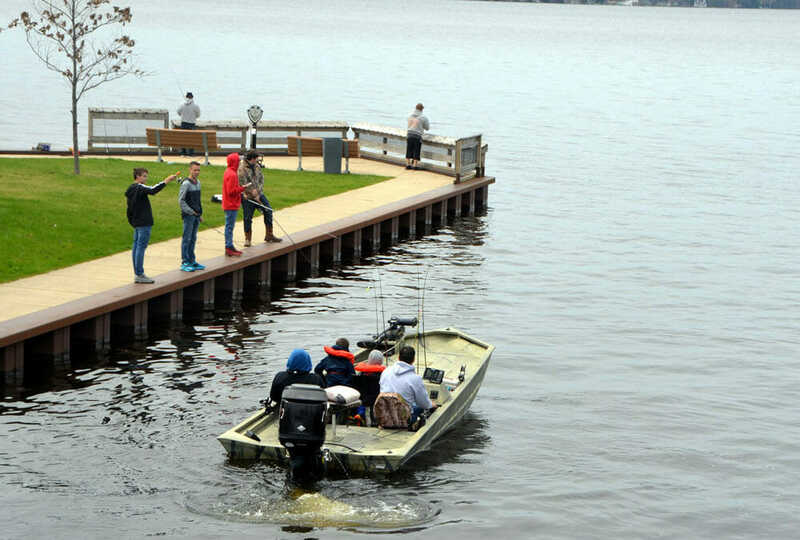 See a list of boat launches in the area. If you’ve got waders, you’re equipped to pursue trout in the Pine, Manistee, Little Manistee, Pere Marquette, and Clam River as well as dozens of creeks. Haven’t got boots, grab a county map and take an afternoon’s drive, stopping to fish next to the many bridges over trout water. You’ll be surprised at your roadside catch. Two other notable trout havens are below Tippy and Hodenpyl dams. Each year the DNR plants thousands of rainbow and brown trout. Bank fishermen account for much of the catch of these planted fish. Although spinners, spawn bags, and worms make up most of the catch, checking in at local bait shop will help you zero in on the current hot baits. See a complete list of lakes & rivers in the area.